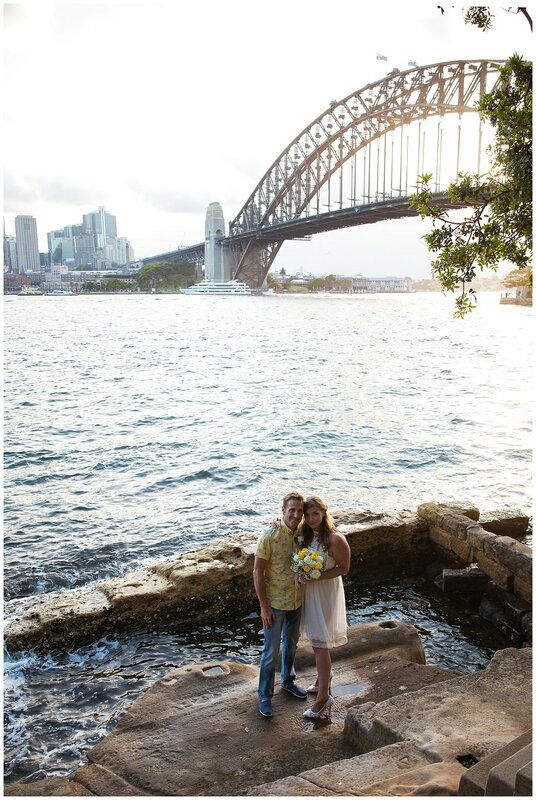 Laura & Simon are both from the UK and decided that they wanted to get married somewhere really special. They have both been to Sydney many times and thought why not elope whilst they were over here again on this planned trip. 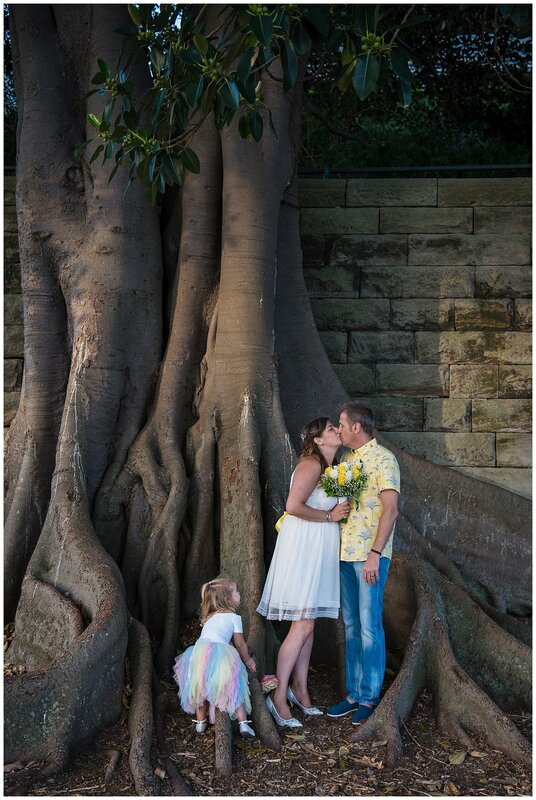 Their personalities shone throughout the service, especially with Simon’s choice of shirt (being a bright yellow shirt), that complimented Laura’s dress and flowers perfectly. 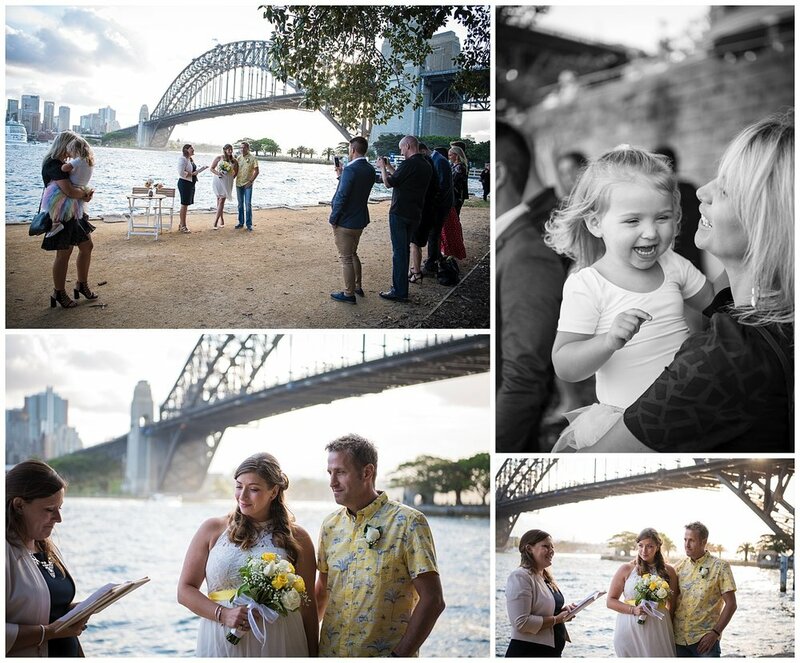 In front of just a handful of family and friends, they exchanged their vows. 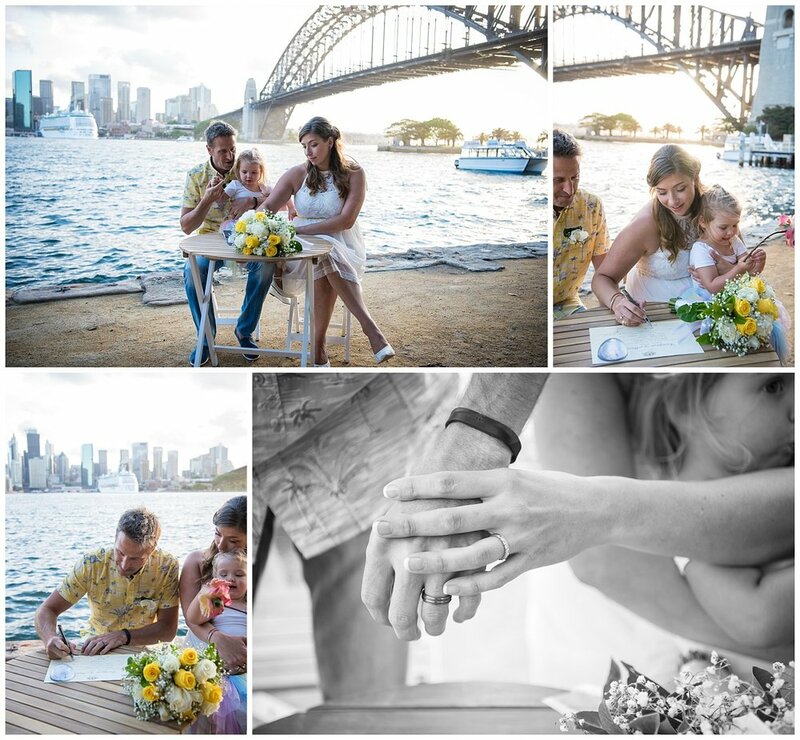 Set in front of the iconic Sydney Harbour Bridge and Opera House on what was a stunning Spring Day. 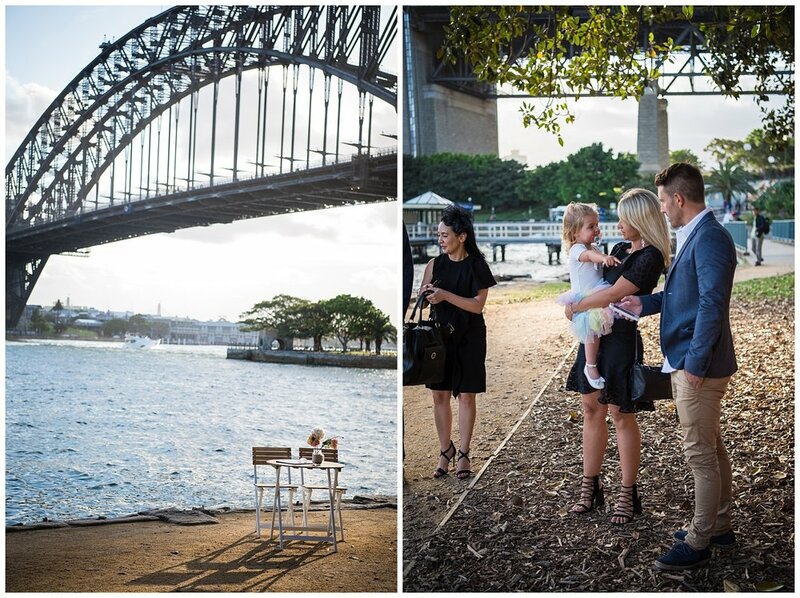 Sydney definitely turned it on for these guys. They were both so very relaxed and chilled throughout the whole ceremony and it didn’t phase them at all that their daughter, Rosie, was running around causing chaos in the background. 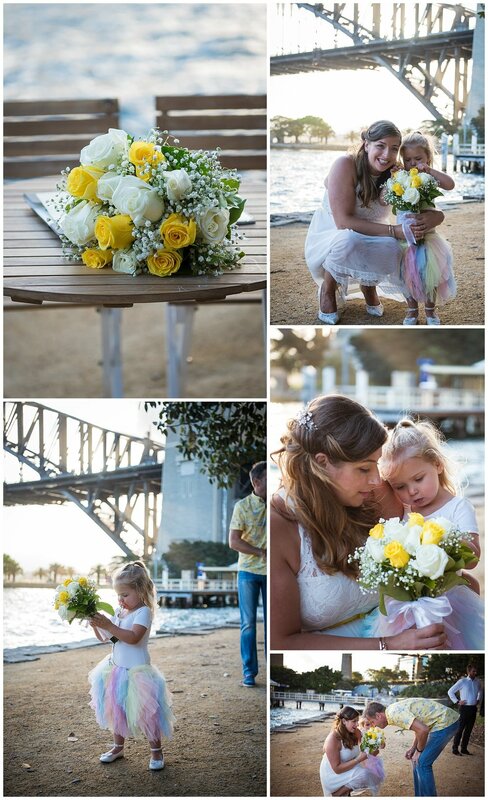 Their simple ceremony was short and sweet before they headed off to party at the Opera Bar. Congratulations guys! 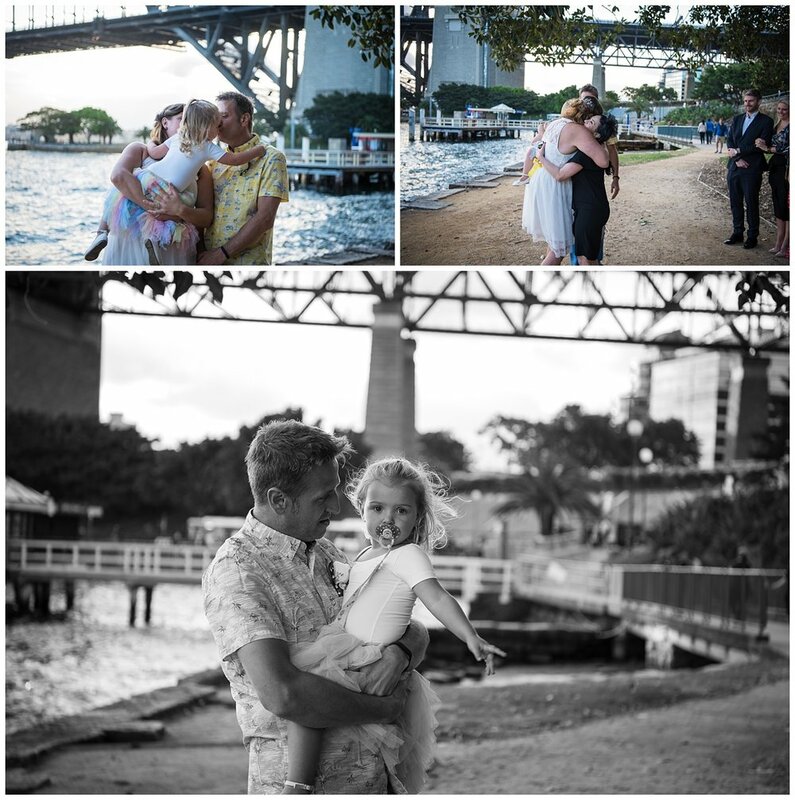 I hope you have a fantastic time in Sydney and that you have a great life ahead of you as husband and wife.